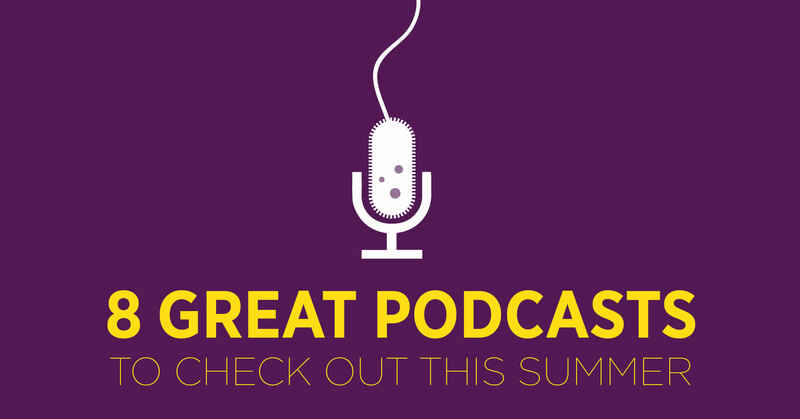 As summer approaches, so do opportunities to listen to podcasts! If you want to explore some of the topics we cover in this blog straight from the researchers, scientists and designers who are on the forefront of discovery, check out some of these highly-reviewed podcasts. The American Society for Microbiology has many podcasts, but three represent the best in microbiology. Each has its own personality, so be sure to try each one. They are available on the website linked here or via iTunes. MicrobeWorld | 60 min Available in both audio and video formats, this monthly podcast takes a “highlights” approach to current innovations in microbiology. Formats include panel discussions, 1-on-1 interviews, and presentations by the scientists doing the actual science being reported. This Week in Microbiology | 60 min Every other week, the host engages an expert panel in a lively conversation-style discussion of a topic in microbiology. Accessible, informative, and fun. Microbe Magazine Podcast | 45 min Featuring topics covered in the monthly publication by the ASM, this podcast interviews authors of recent papers about their work. More technical and detailed. Only Human | 30 min Often featured on “best of” lists, this weekly podcast covers topics in health and medicine with a storytelling approach. Issues that can be difficult to talk about are handled with honesty, compassion, and hope. Produced by WNYC, a public radio station; available on web and via iTunes. RadioLab | 60 min Sound and information transform every topic into an experience in this biweekly exploration of science, humanity, and philosophy. Also aired on many NPR radio stations, this podcast is produced by WNYC; on the web and iTunes. The Story Collider | 30 min Science is humans learning about their world, and this podcast takes this experiences to the next level by presenting science through stories told by scientists. The stories may not be about the intricate details of a particular field (although sometimes they are), but each one is an engaging look at the experience of humans and scientific discovery. Story Collider is an independent non-profit; episodes online and iTunes. 99% Invisible | 60 min As the title of this podcast reflects, most of what goes into design is behind-the-scenes. An expertly executed floor design for a new pediatric wing looks effortless and organic, but has countless hours of thought, research, and development behind it. This podcast celebrates this hidden 1% with in-depth explorations of the design of a myriad of subjects. Originally a project of KALW public radio, 99% Invisible is now an independent non-profit. Design Matters| 15-60 min The first design podcast, Design Matters is an interview-style program featuring design leaders from around the world. This podcast is about ideas, inspiration, and creative philosophy. The podcast is produced by the host, Debbie Millman, and her design team. We hope that whether you are lounging on the beach or heading out for a long road trip, this tour of microbiology, epidemiology, and design will fascinate and amaze you!